How to draw skulls became recently almost a ”must know skill” because of the extreme popularity of the theme during the past few years. A skull, that dark and somewhat weird theme which is associated mainly with death is now regularly appearing in fashion or accessories. It is printed on T-shirts and women’s stockings. Whatever the reason for such popularity might be it doesn’t need to be ignored or to pretend that it does not exists. A lot of us want to avoid drawing skulls because of its morbid character…but, come on, let’s take a bit different look at the whole thing. On the other hand however, I personally do not like too much skull graphic design on apparel and accessories because it does not create very good vibes, especially if I see it on kid's clothes or underwear. It may be that I lack some deeper knowledge but I just cannot get the point. Human skull represents us, humans. I have a skull and you have yours too. 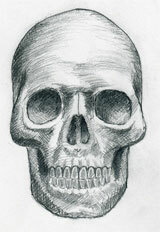 Everyone has one, so why don’t we just make a simple pencil drawing of a skull? 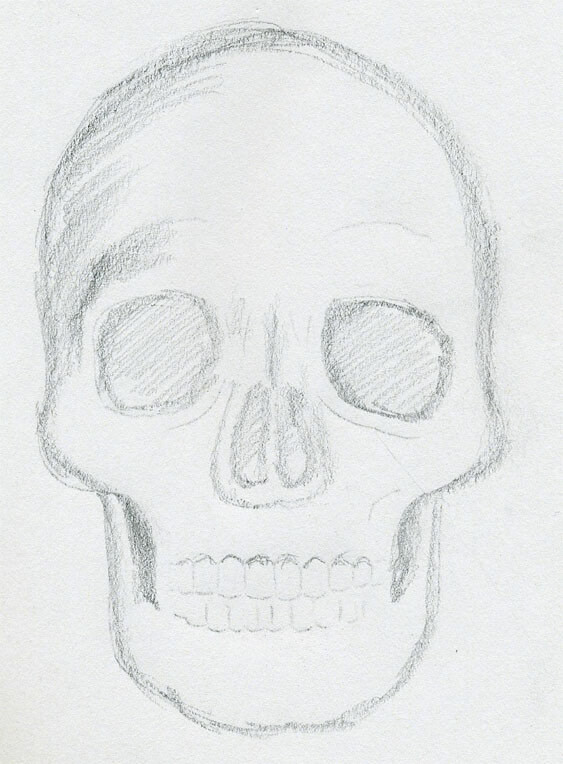 I made this quick drawing in order to show you a simplified version of human skull. Click on the above image to enlarge it. Before you start to draw, I would like you to observe first carefully the total shape enlarged, eye openings and their shape. They are not round but rather irregularly prolonged like a deformed egg. The openings are not just complete black holes. 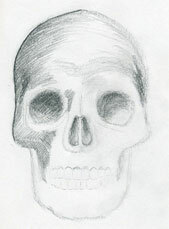 Draw a simple outline of the skull first. 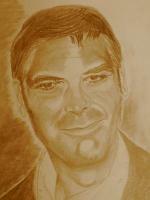 On the above picture I already corrected some excessive pencil lines. Whatever shape is OK on the first try, it doesn’t need to resemble to my drawing at all. If you learn how to draw skulls the very first time, outline the entire shape by tilted loose hold pencil, the strokes would be more accurate and you will probably capture almost the perfect shape on the first try. This method works. Start to shade the top of the head and the eye openings. Slightly shade those parts, which will be darkened later in order to crate a preliminary plasticity and gradation. Lets start to gradually darken the eye and nasal (nose) openings. 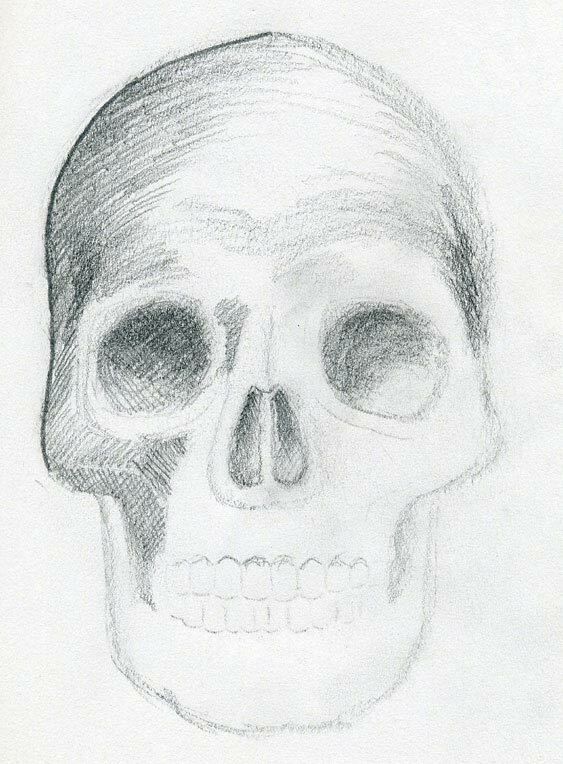 These three holes will probably be of the darkest tone on the skull drawing. 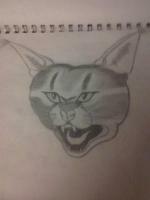 Slightly outline the teeth too. 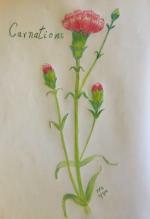 Every time, if you feel some difficulty, observe the final drawing and simply copy what you see. It is important to always watch the direction of the pencil strokes. Especially the longer pencil strokes because they often determine the final shaping of the object, whether it is round or square, etc. Notice that the teeth are not white. 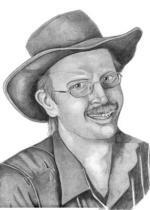 It is good to put only a weak shade on the teeth. 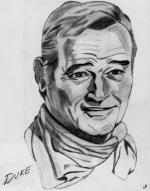 Very gently darken the face of the teeth so that your drawing will look more natural and realistic. 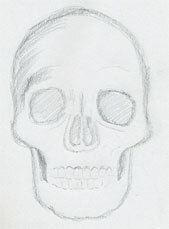 Finally, outline the whole skull with a stronger pencil in order to stand out on the white paper. 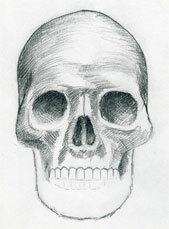 Do You Like To Draw Skulls? 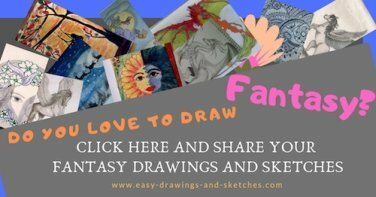 If yes, I recommend you to check out how to draw skulls, skull paintings and skull drawings collection on my good friend Thaneeya's website. Thaneeya is a prolific artist and I am sure you will like her artwork, especially "sugar skulls".